At 16, Jaida Wand was diagnosed with Hodgkin’s lymphoma. Normally, the chemotherapy treatment that followed would have left her with very little chance of having a family later in life. But thanks to the new Fertility & Research Centre at The Royal Hospital for Women, Randwick, the schoolgirl was counselled about her fertility, and decided to have her eggs harvested at the FRC. Today she’s a 20-year-old psychology student who’s planning her first overseas holiday and hopes to one day have a family. 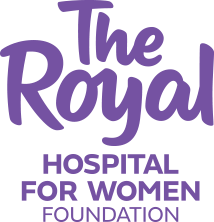 The Fertility & Research Centre, partly funded by The Royal Hospital for Women Foundation, is a first in Australia. Use the form below to make a donation to The Fertility & Research Centre to help more patients like Jaida.